FORTY-NINE YEARS ago today, then-US President John F Kennedy was on an official visit to Berlin when he gave what became one of the most famous speeches ever made. Having just visited the controversial – and dangerous – Checkpoint Charlie crossing between East and West Berlin, Kennedy addressed the huge West German crowd gathered outside the city’s Schoeneberg Rathaus and told them “Ich bin ein Berliner”. Email “WATCH: Today in 1963, JFK made this speech...”. 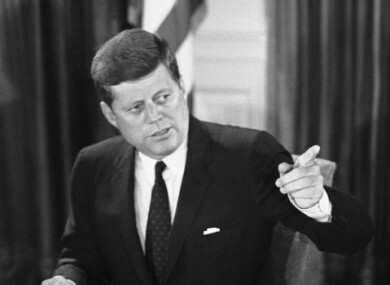 Feedback on “WATCH: Today in 1963, JFK made this speech...”.